Whether you’re a student or the president of Mines, more sleep, less email and getting away for a few days are always ideal spring break ingredients. Elyse and I flew out to Sacramento to visit our daughter Kaitlin, who is finishing up her doctoral program in chemical engineering at UC Davis. We also drove up the northern California coastline to The Sea Ranch, where there are about 50 miles of running trails and an aquatic center for me, and whale watching, bird watching and hiking opportunities for Elyse. Then we headed back to Mines for what’s shaping up to be an exciting and packed last month of the semester. How do you see Mines evolving over the next 10 years to continue its legacy of leadership in industry and the world? This is what our new [email protected] strategic plan is all about. Above all, we have to stay focused on producing distinctive and highly desired graduates and provide the innovations and knowledge industry and society need for the future. To do that, we will continue to emphasize close partnerships with industry, national labs and mission-oriented government agencies, take a critical look at how we prepare our graduates and work to be attractive and accessible to top students and faculty from all backgrounds. How can alumni help achieve the goals you envision for the school’s 150th anniversary? 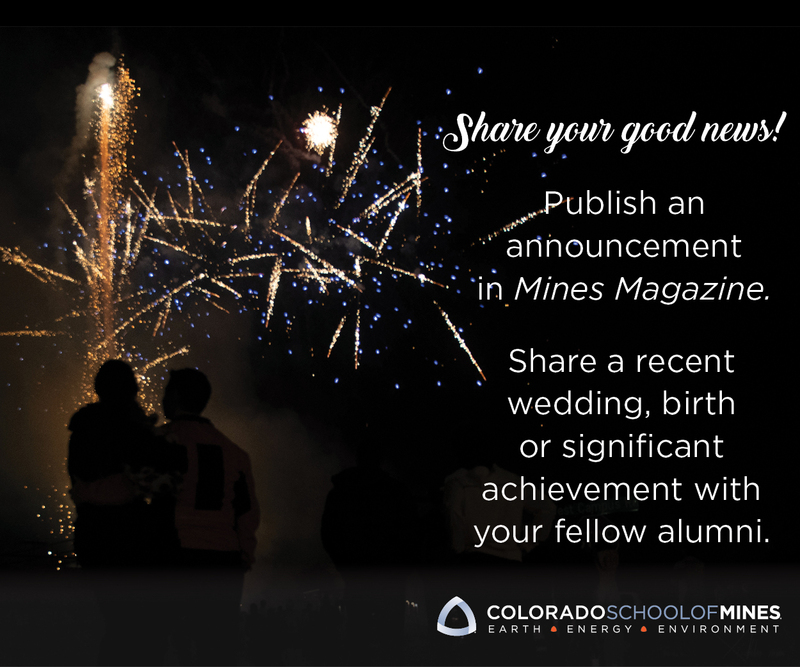 Alumni support and engagement are critical to our future, and we have a range of opportunities through which alumni can meaningfully connect to Mines. I recently met with alumni leadership to map out the needs and opportunities for graduates in the [email protected] plan. These include involvement in the professional development of our students, special strategic initiative groups, promoting Mines and lecturing in our courses. We will be more deliberate about the professional preparation of our students and their entrepreneurial ventures, and alumni are some of the best to lead that effort. Alumni-driven strategic initiative groups are already advancing aspects of the [email protected] plan with our growing interest groups and other engagements. I’m excited alumni are taking ownership for preparing our students to be engaged with Mines in the future.